Dave and Joy Royston opened JustAgame Fieldhouse as an extension of Sports Impressions, their screen printing and embroidery business, in 2006. 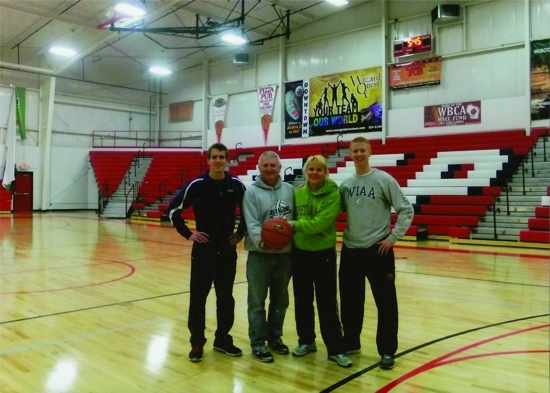 While following their sons, Jade and Kyler, across the state and the country in basketball tournaments they saw an opportunity to create a friendly and affordable environment for tournaments, leagues and camps. Their sons Kyler and Jade Royston work with them on the staff in full-time roles. We happily welcome Garrett Borgrud and Chad Mazur as Co-directors, both from the successful Cardinal Stritch basketball team.